Our range of services make the packing and moving process easy and stress free. We can tailor a package of solutions to suit your needs and budget. Our friendly and professional team will be pleased to help you for anything from a few hours packing kitchens and breakables to a full pack and unpack service. We take great care to ensure your possessions are safely transported and arrive damage free. Protective blankets and plastics are used on all furniture and transit insurance is included. Whether you are looking to store a few extra items or a whole house, we have a range of flexible storage solutions to fit your individual needs. Clean and sanitise your furniture, rugs and carpets to make for a truly fresh start in your new home. We take the time to help you navigate the often challenging task of planning for your new home including rehoming and storage of excess items. Our caring team specialise in working in aged care homes where we regularly assist relocating residents between rooms, fitting new furniture and any other heavy lifting that may be required. Whether you need regular courier services or the occasional delivery made, we will be only too happy to work with you. We pride ourselves on a high level of customer service and presentation to ensure we provide the highest level of satisfaction on every single job we work on. You only pay for the hours it takes to complete your move up to a fixed capped price. For your peace of mind, we have full public liability insurance and comprehensive transit insurance. Being a small local business, personal, friendly service is guaranteed. We work with a number of commercial businesses including aged care homes, commercial cabinetry manufacturers, real estate agents, furniture stores and interior designers. Zander and the team at Transitions Removals & Logistics have delivered excellent service delivery to our clients. We have had great feedback on them and would not hesitate in recommending their business service. Zander is a champion! I don’t know how he does his job! And he’s so good at it too. Watching him and his colleagues was like watching a well oiled machine in action. Everyone knew how and where to pack things and so quickly too! 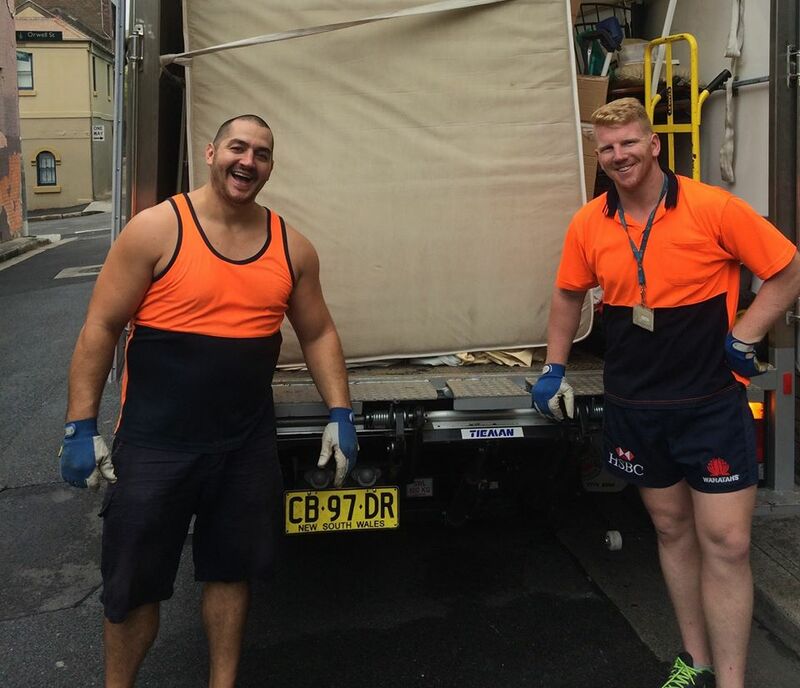 I highly recommend Zander Peden and Brad from B&Z Movers/Transitions Removals! They are friendly, got the job done in record time and took the stress out of moving house! Thanks guys! Thanks for a job well done last week moving us. We liked the way that your capped price quote meant we knew the max we had to pay, but that due to your efficiency you did it in less time and saved us money. Highly recommend! Cannot thank Brad and Zander enough for their services on our recent move. They were so lovely and friendly, never complained and incredibly efficient! Much more reasonably priced than other movers in the same area also. Can’t recommend them highly enough. Totally eased the stress of the move. Thanks guys!